From playing the role of an aspiring chef, to taking on the role of a boy who, along with his siblings, finds themselves in a real-life mission where they must overcome certain obstacles to escape, we’ve seen Jet Jurgensmeyer take on all of these excellent roles and do such a remarkable job! At such a young age, Jet Jurgensmeyer already has so many outstanding accomplishments under his belt, and an endless amount of awe-inspiring projects that he has been a part of. You’ve seen the awesome Jet Jurgensmeyer in the highly-acclaimed Disney Channel original movie, Adventures in Babysitting, and now we all look forward to seeing the magnificently talented Jet Jurgensmeyer in the much-anticipated Nickelodeon movie, Legends of the Hidden Temple. He will also be voicing the role of Stinky Peterson in Hey Arnold: The Jungle Movie. Jet Jurgensmeyer has such a phenomenal acting talent and we can’t wait to see the marvelous work that he continues to bring out to all of his fans! 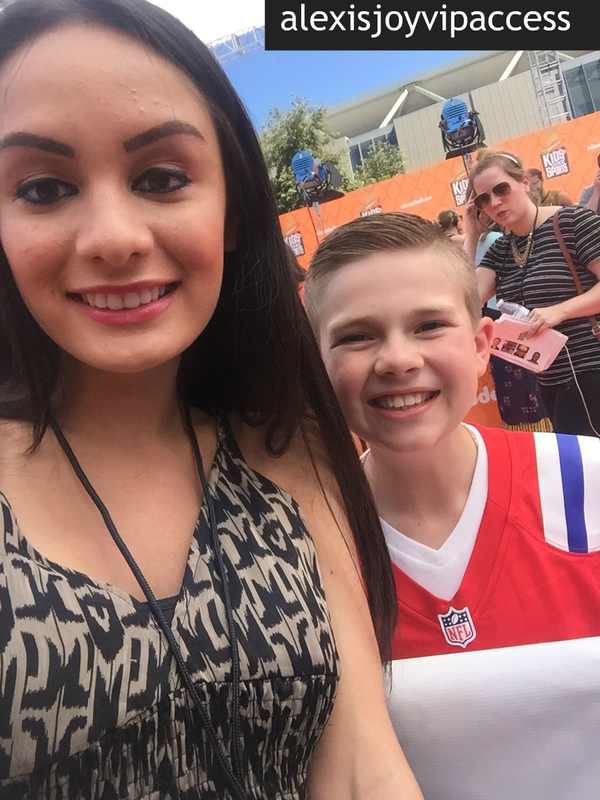 I, Alexisjoyvipaccess had the greatest honor of covering and attending the 2016 Nickelodeon Kids’ Choice Sports again, celebrating everyone’s favorite iconic sports stars and sports moments; and I had a terrific time catching up with and interviewing the amazing Jet Jurgensmeyer again at the event. Jet Jurgensmeyer dished exclusively to Alexisjoyvipaccess all about what it was like working on Nickelodeon’s Legends of the Hidden Temple, what the atmosphere was like working on set of Adventures in Babysitting, and so much more only in our VIPAccessEXCLUSIVE updated interview. Jet Jurgensmeyer even spills on the one sport that he hasn’t tried yet but would like to try – hear what he had to say in our VIPAccessEXCLUSIVE updated interview below. Thanks for the fun interview, Jet – always a blast chatting with you! Check out my VIPAccessEXCLUSIVE updated interview with the fantastic Jet Jurgensmeyer at the 2016 Nickelodeon Kids’ Choice Sports below! Previous Article: You Have To See Ryan Cargill And Jon Klaasen’s Fun “7 Second Challenge” Video! Watch It Here! Next VIPAccessEXCLUSIVE: Jagger Eaton And Alana Smith Interview With Alexisjoyvipaccess At The 2016 Nickelodeon Kids’ Choice Sports!